During these dog days of winter, sometimes you just have to go to a happy place. 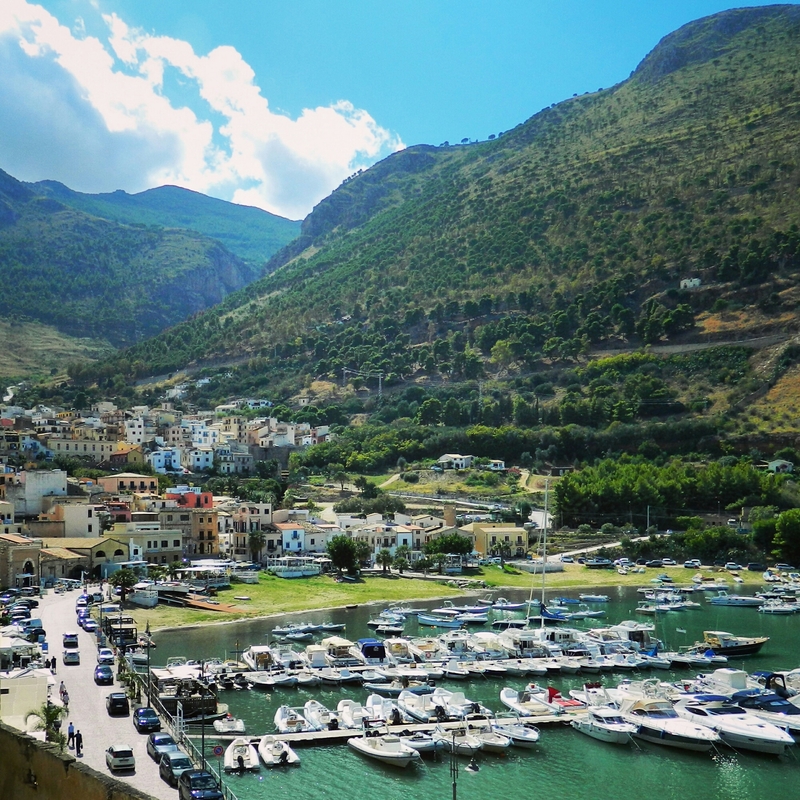 Here’s mine: the marina of Castellammare del Golfo, photographed from what would have at one time been the drawbridge to the castle. Great place to dream about! Hope to travel with you soon to this beautiful and magical place. I need to try that in my NYC apartment!